More and more since my kiddo’s are getting older (the eldest nearly 12 years,) I have had to share my holiday decorating time and efforts with them, since they’re too cute not to let help. 😉 This Santa-inspired holiday wreath is playful enough for my children’s taste yet still stylish that I wasn’t afraid to display it. 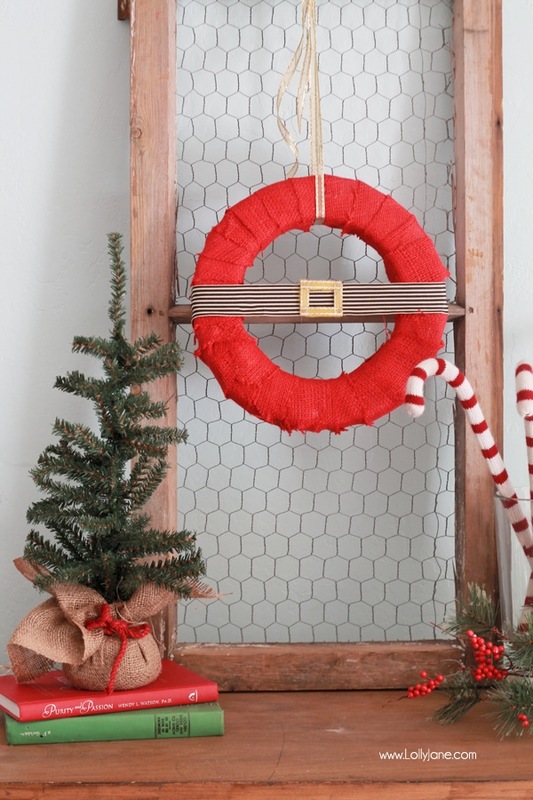 Like our DIY Holiday Card Holder, this frame is currently housing my incoming Christmas cards and I love it paired with this simple wreath! Making this was a snap! Cut red fabric (we used burlap) into 3×8″ each. 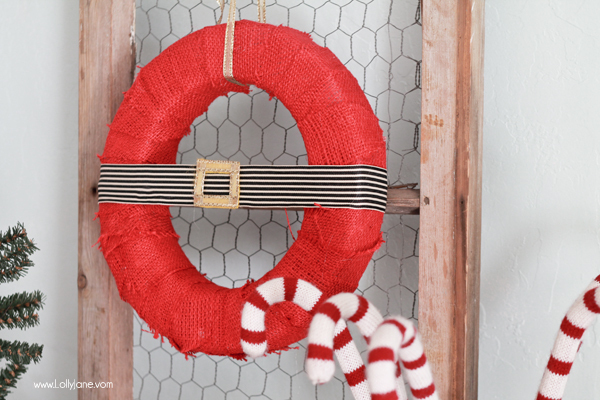 Thumbtack red fabric onto wreath and start wrapping. 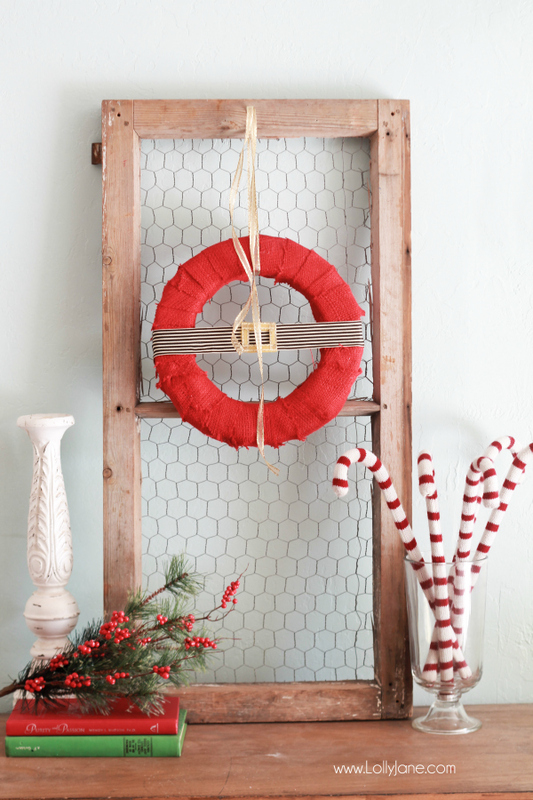 No need to press a tack into each strip but just keep wrapping over the end piece until the wreath is covered then tack last piece onto wreath form. 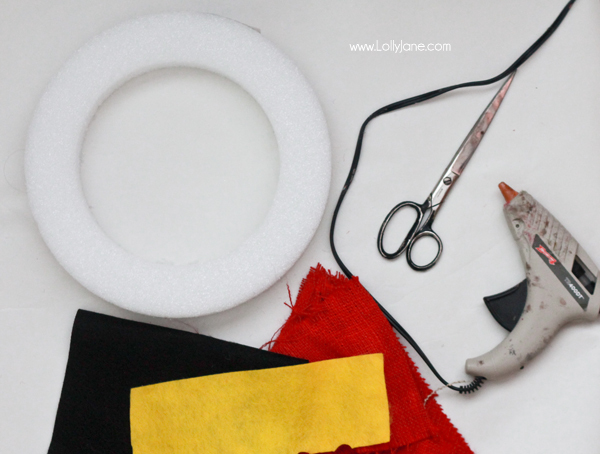 Dab hot glue onto the back of the ribbon and press onto the back of the wreath. Pull over the front of the wreath and secure with another dab of hot glue. Cut shimmery gold ribbon to fit over “buckle”, dab more glue and cover the gold felt. 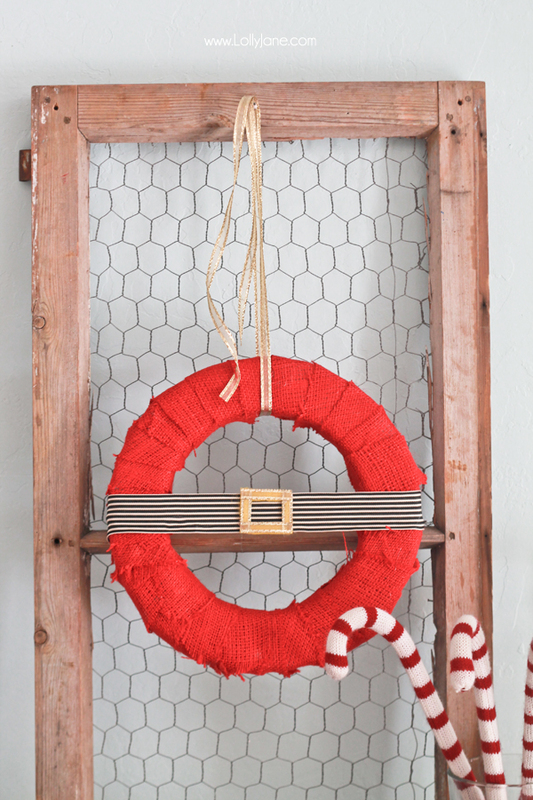 Loop ribbon around wreath and hang! We would definitely recommend the colored burlap as it leaves the pretty frayed edges, which we love! Over all this was about a 1-hour project from start to finish, perfect for the busy crafters schedule! 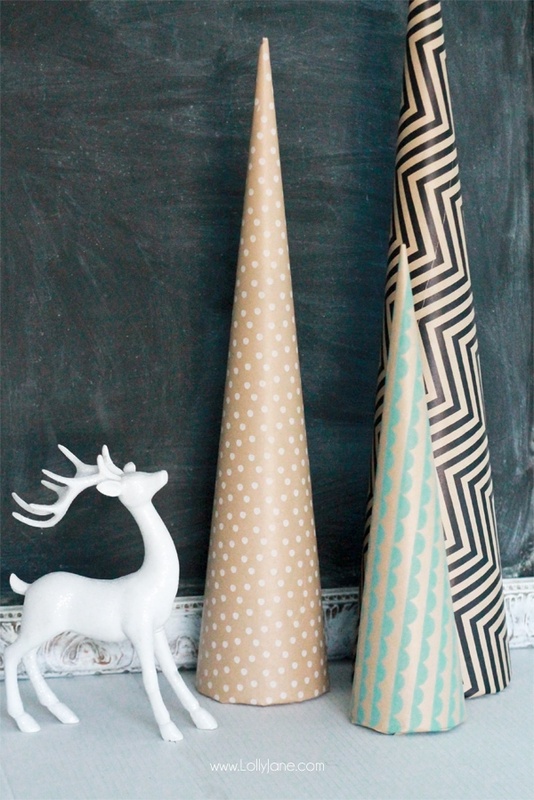 Keep up with the latest decor trends on Instagram, Pinterest, Facebook or our blog! Happy holidays! We are identical twin sisters Kelli & Kristi from sunny Arizona who are obsessed with all things crafty, cure and creative. 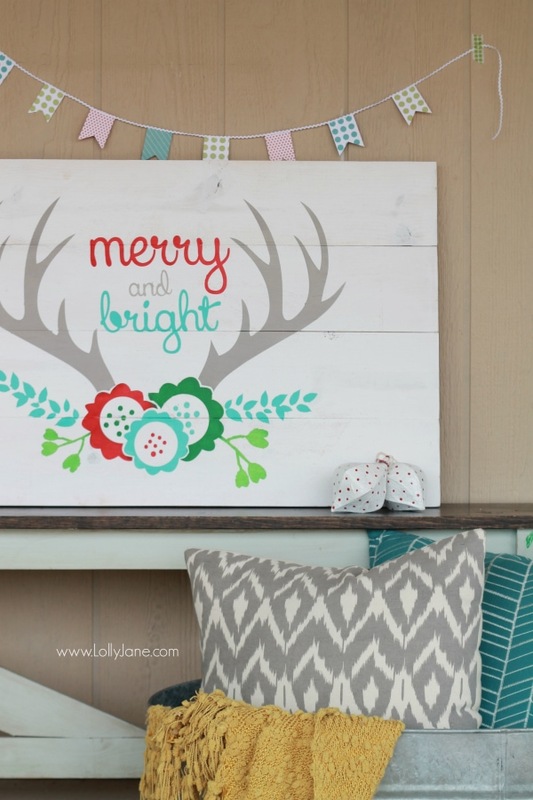 Join us at LollyJane.com (lollyjane.com) for tips, tutorials and DIY's as we spruce up our spaces! Welcome to our home! That’s how we at Mohawk Flooring think of this little blog. This is where we come to let down our hair–laugh, relax, and be inspired. The world we live in is filled with so much beauty, and it deserves celebrating!